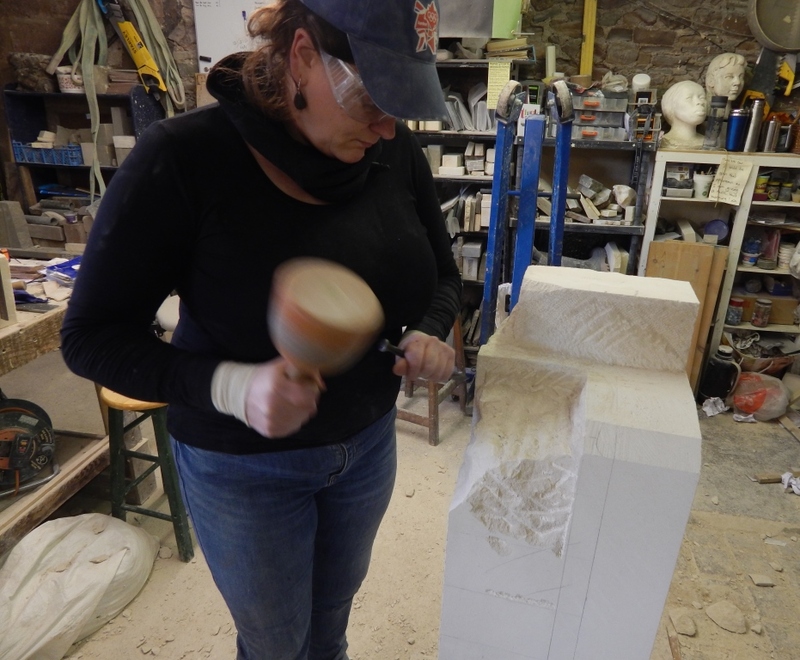 It is always an honour to be given the responsibility of carving a memorial to help remember a loved one. 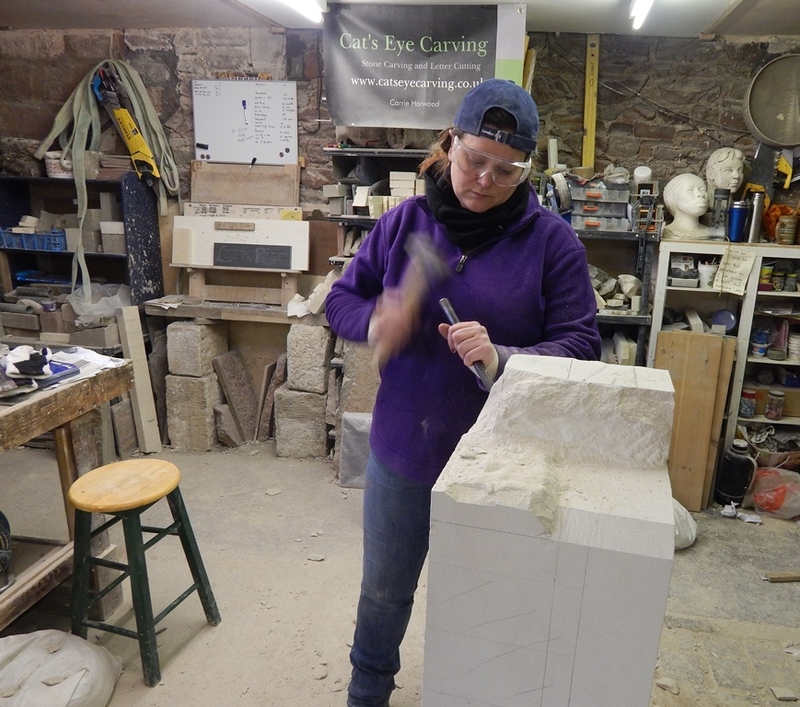 This commission is giving me the opportunity to use all of my training as a stonemason, artist, sculptor and letter cutter. 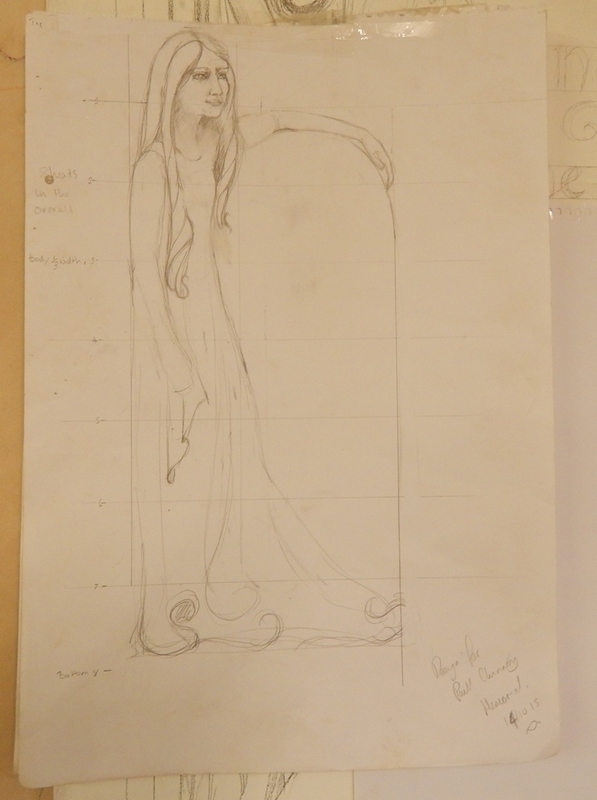 I was asked to design a sculpture memorial incorporating an Art Nouveau style woman. 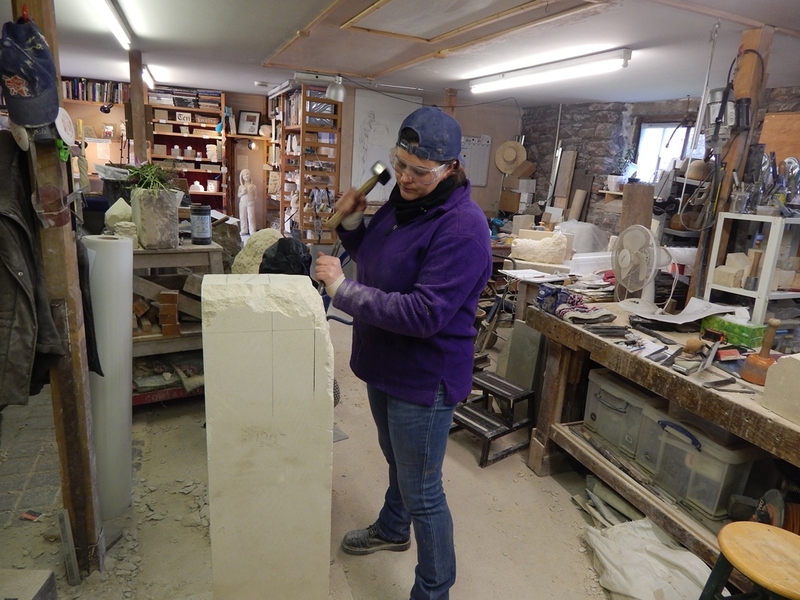 Due to restrictions the stone could be no wider than 14inches. 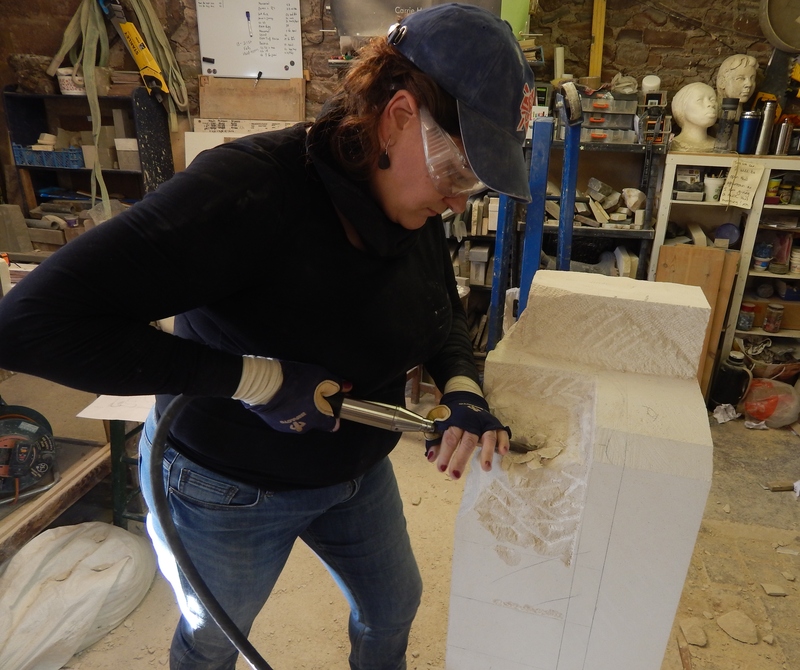 I decided to use Portland limestone it is excellent for letter cutting and detailed carving. It will show off the curves and form of the dress. Importantly it is a hard durable stone. 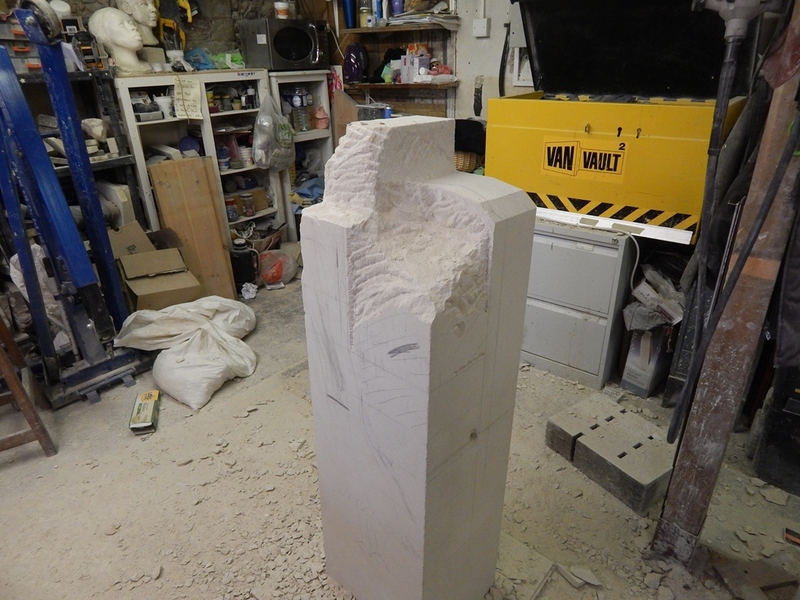 Here are the photos showing the design and the starting process.